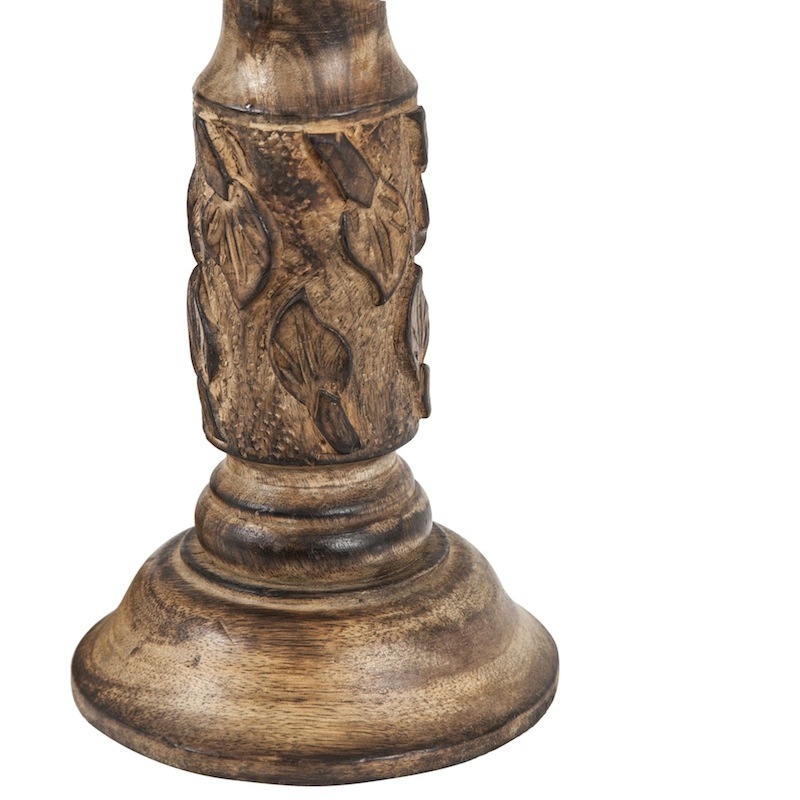 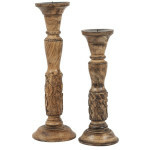 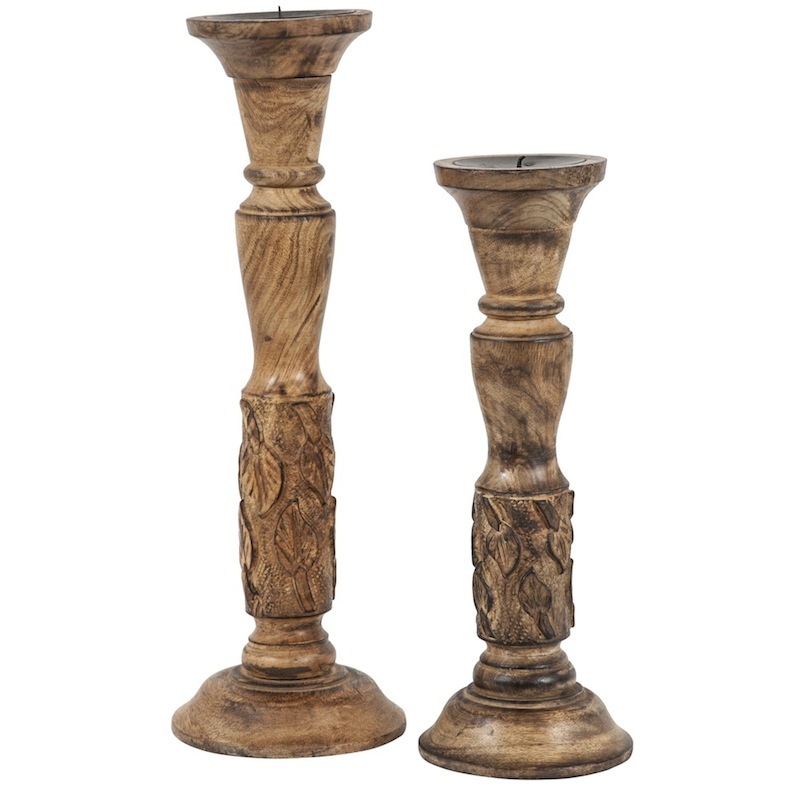 Wooden Candlesticks. 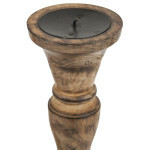 The taller has a 6 inch base and stands 17 inches tall. 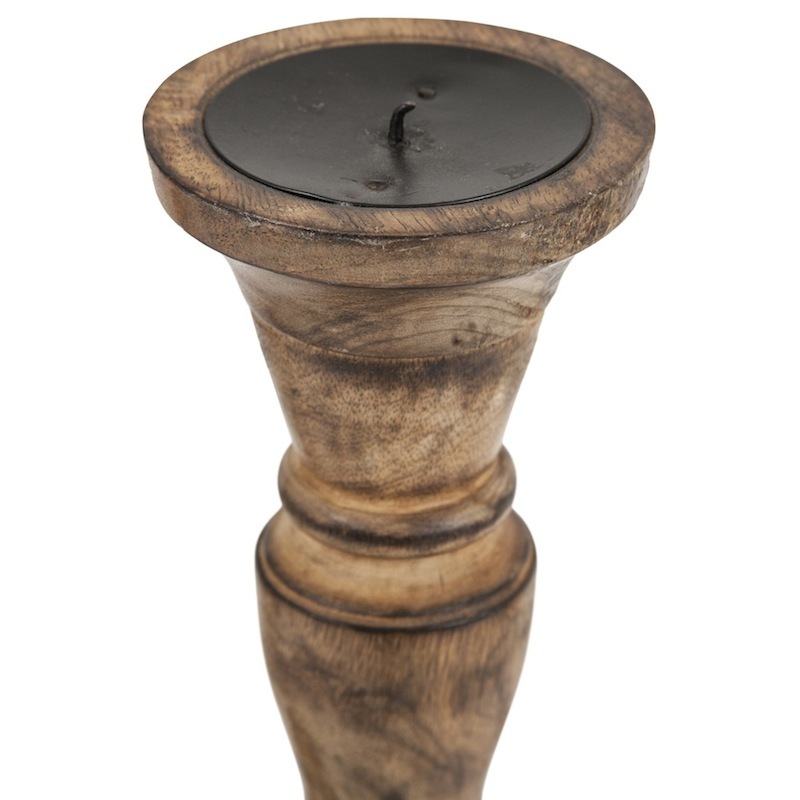 The shorter sits on a 5 inch base and is 14 inches tall.